There’s nothing more fun to me than making a DIY project and having a glass of wine and this DIY wine cork snowman ornament combines both! 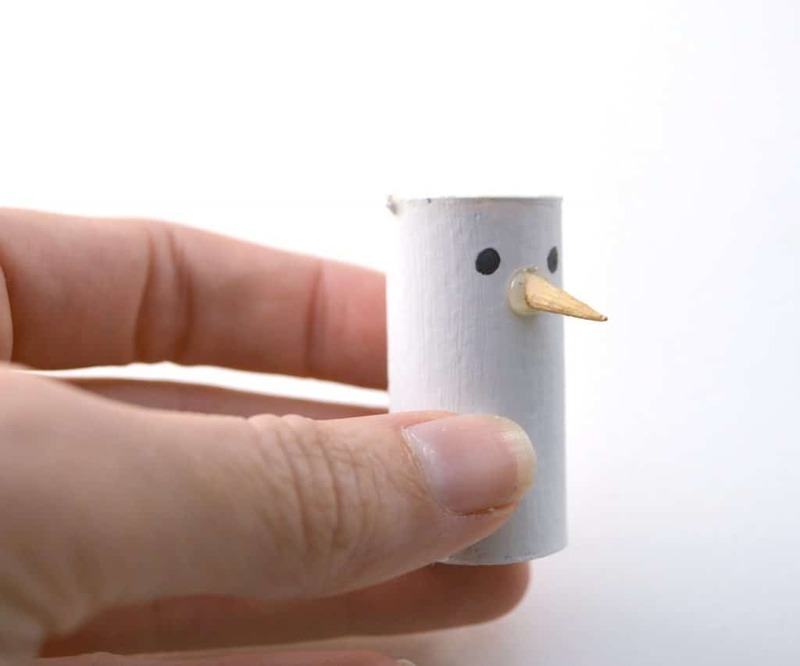 All you need to make this super cute DIY wine cork snowman is a few wine corks and most of the other items you probably already have sitting right at home. 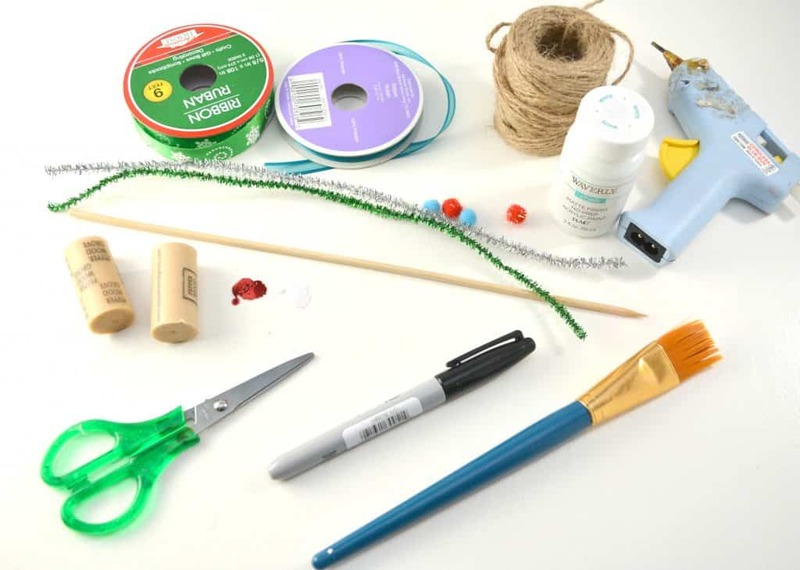 Make with the kids or gather your girlfriends and have a girls night in making ornaments! 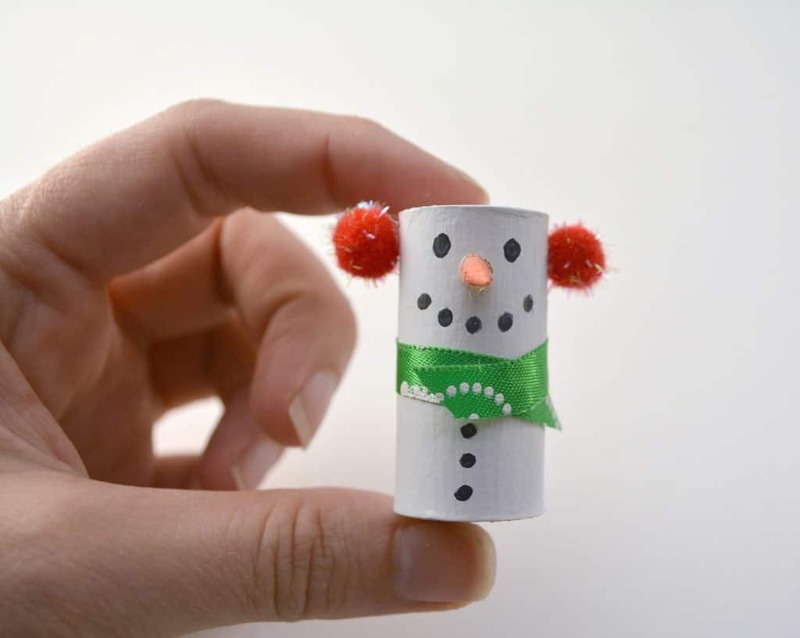 Scroll for the easy DIY wine cork snowman ornament! Begin by painting your wine corks with white paint. 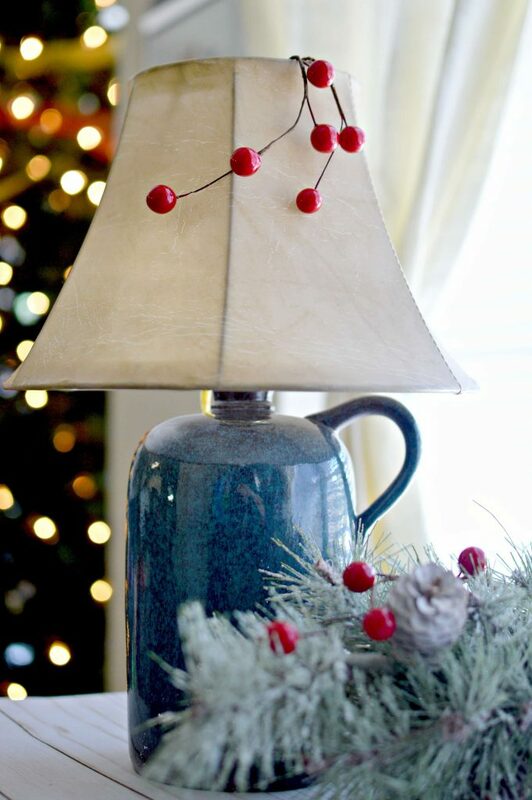 We used chalk paint because it dries quickly, but you can use any type of paint you wish. 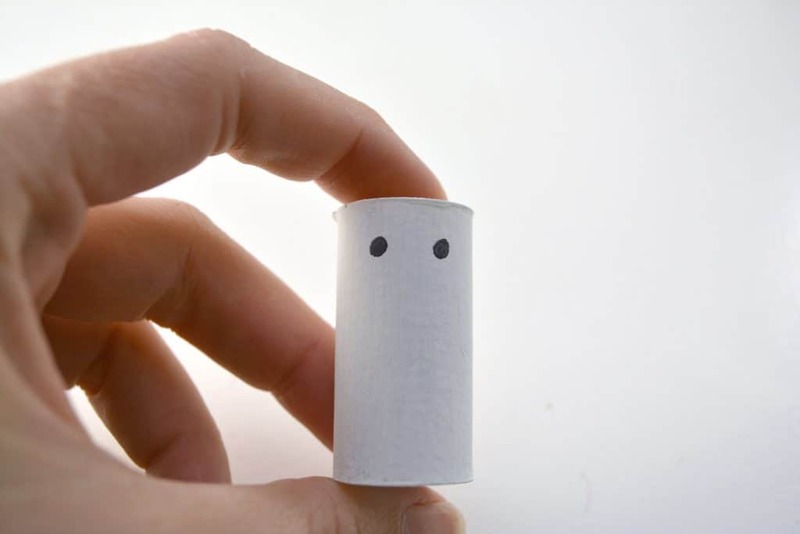 Once the wine cork has dried completely, make two small eyes on the front of it with a Sharpie marker. Cut the pointy end of a toothpick or wood skewer off with a pair of scissors. 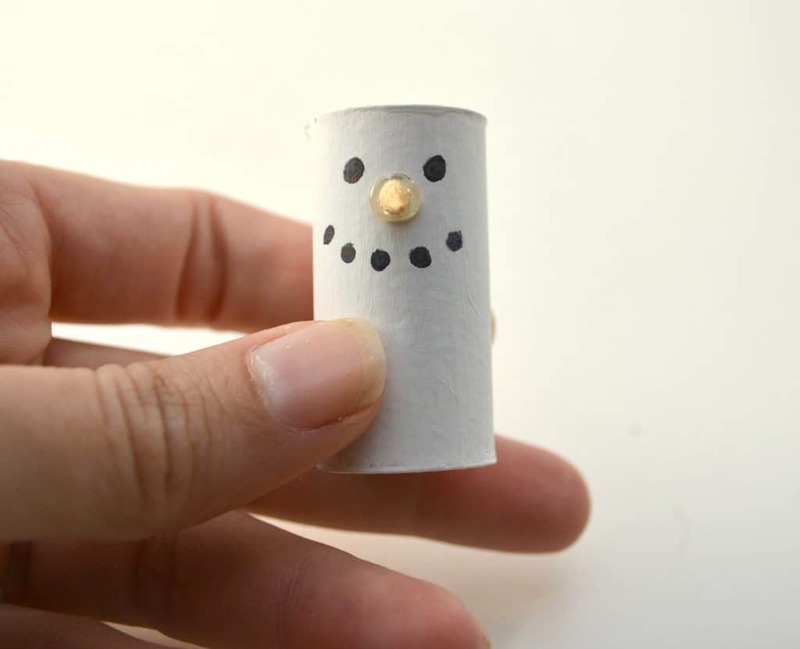 Leave it long enough to be the nose for your wine cork snowman, but not too long. 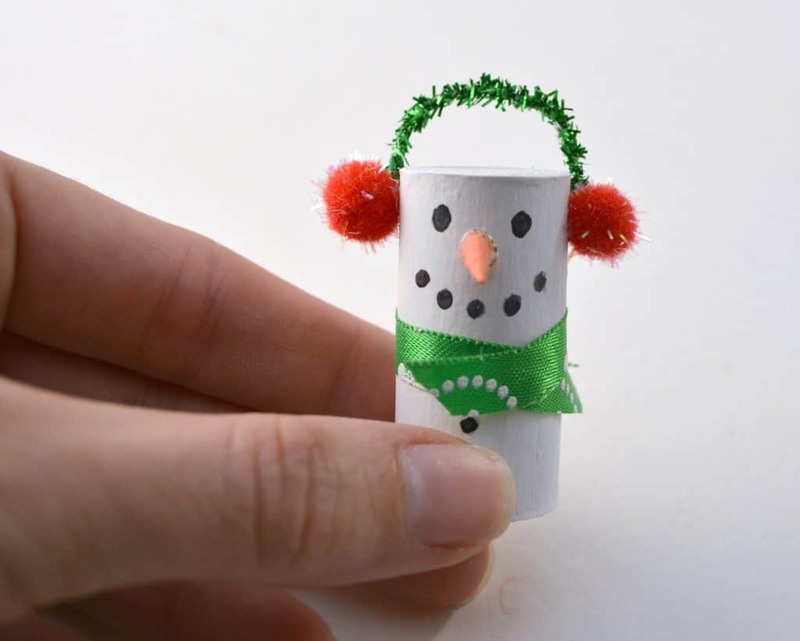 Use hot glue to attach the nose to the front of the wine cork under the eyes you drew on in step 2. Use a small thin paintbrush to paint the wooden nose orange. 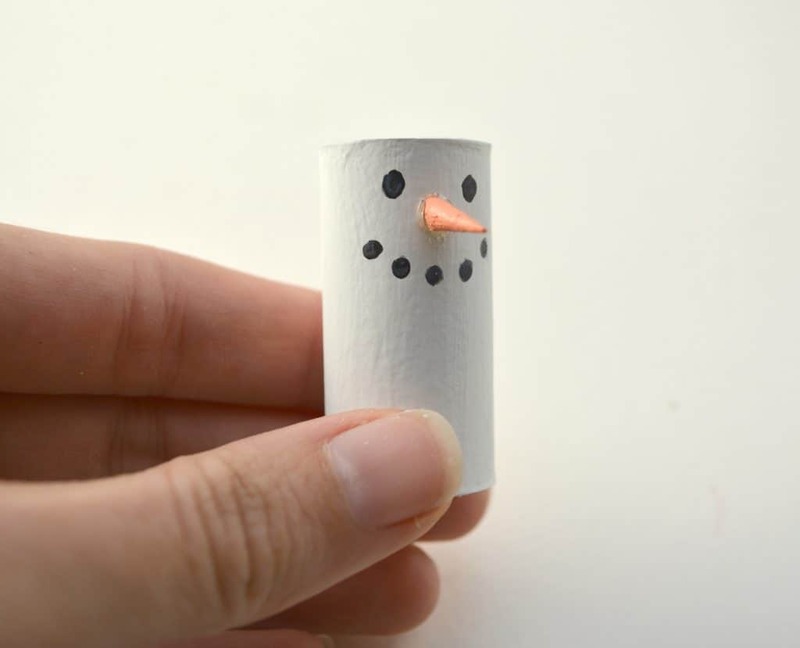 Make a coal mouth for your snowman by placing small circles with a Sharpie marker under the nose on the front of the wine cork. Cut a small piece of ribbon and wrap it around the wine cork just under the mouth you have drawn on. 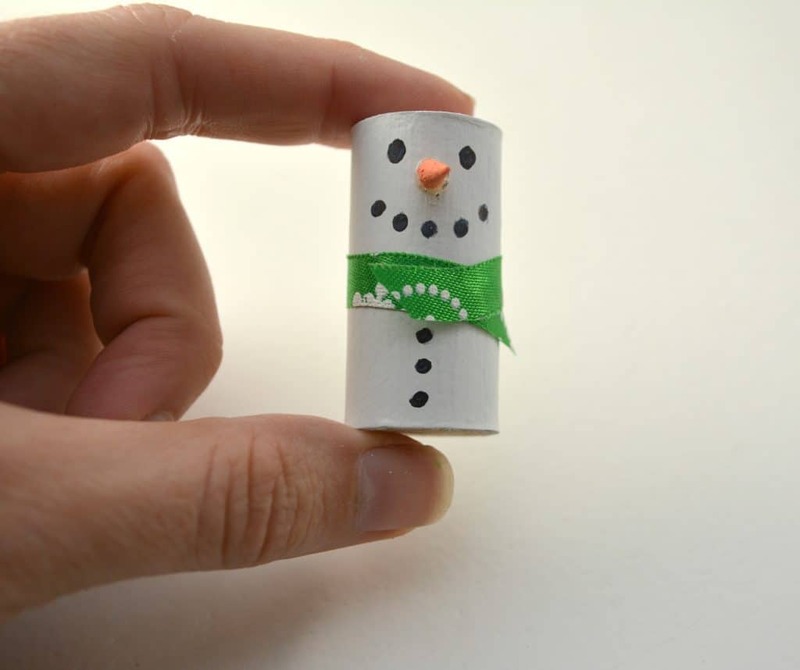 Secure the ribbon in place with hot glue, and cut the ends off to make the ribbon into a short scarf for your snowman. 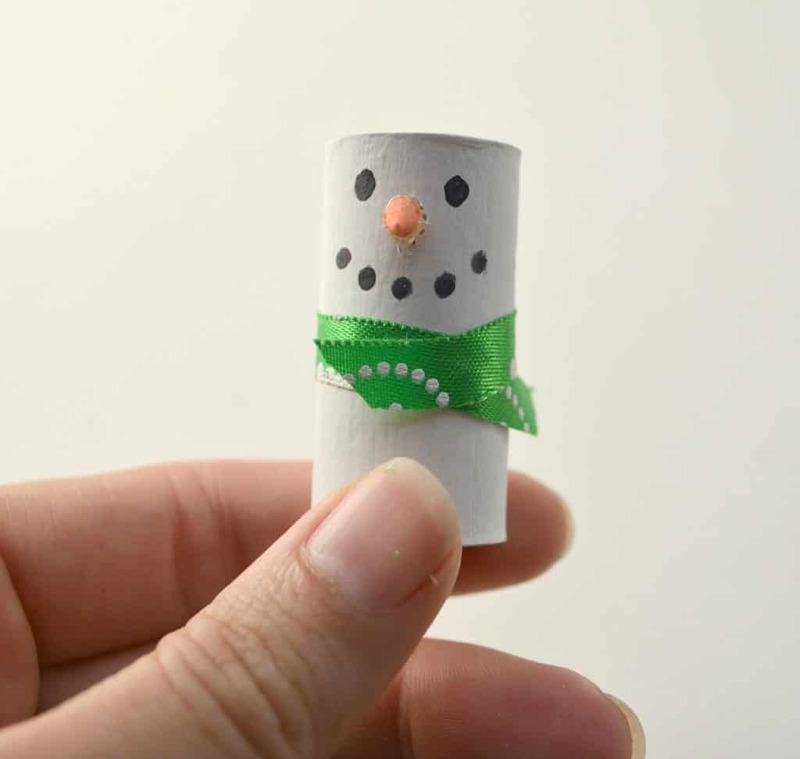 Draw three small black circle buttons onto the front of your snowman under the scarf with a Sharpie marker. 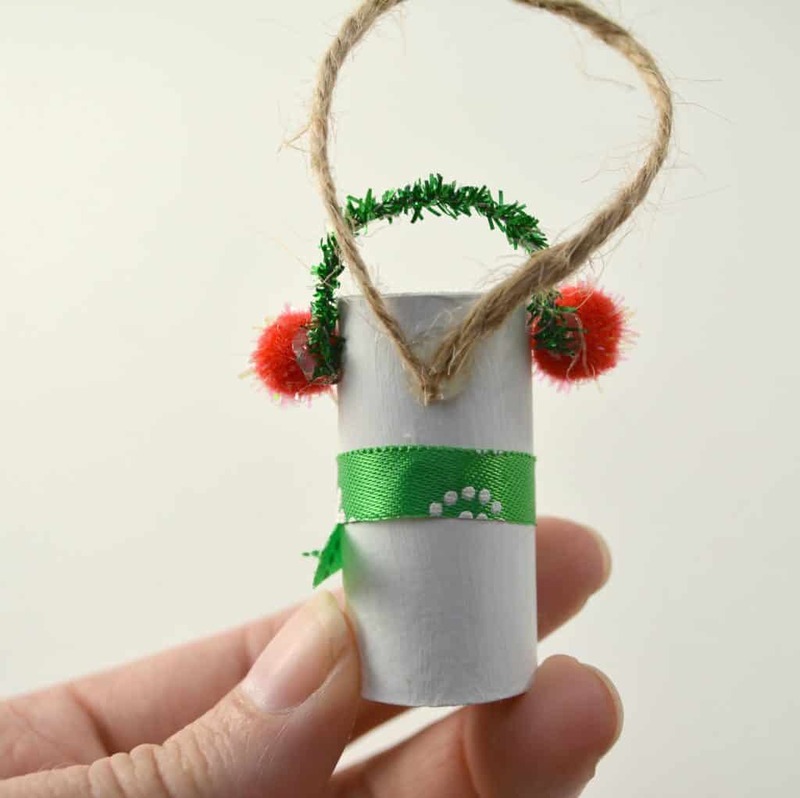 Glue two small craft pom poms to either side of your wine cork snowman’s head, these will be his earmuffs. Cut a small piece of sparkly pipe cleaner to serve as the band for the earmuffs. Glue one end of the pipe cleaner to the pom poms on either side of the snowman’s head. 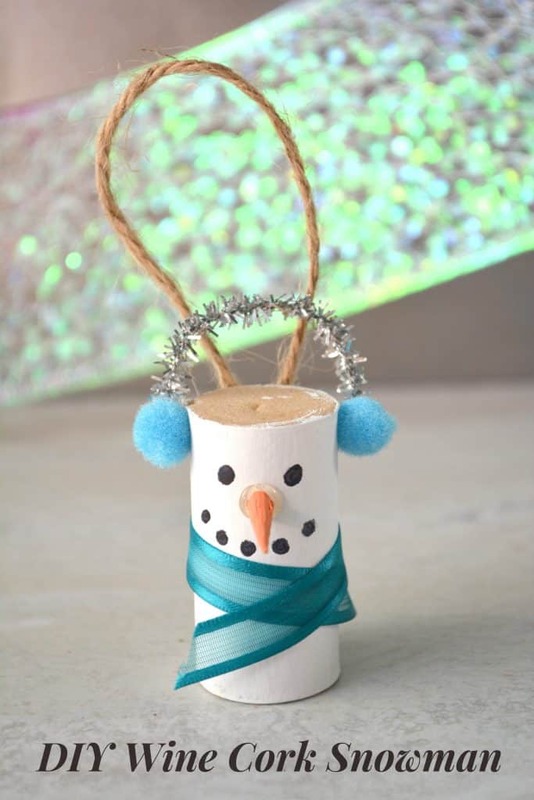 Glue a small loop of twine to the back of your snowman ornament to serve as a hanger for the snowman. 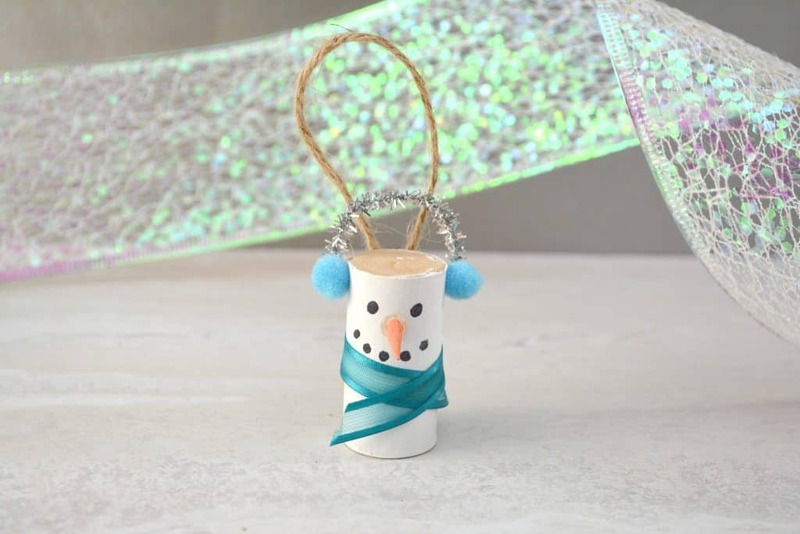 Isn’t the DIY wine cork snowman cute in blue!? 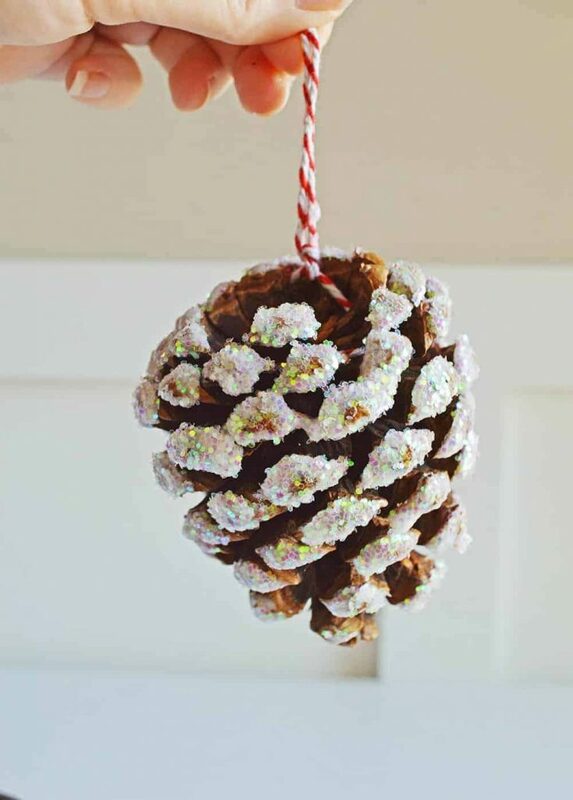 For more Holiday DIY’s click on images below!